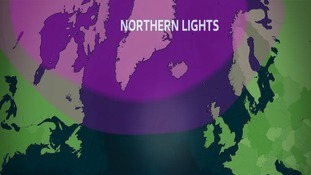 Tonight is the best chance for some time for spotting the Northern Lights in our region. Two solar flares have reached the Earth's atmosphere and it is thought the reaction will be strong enough to make the phenomenon visible further south than normal - perhaps as far south as Scotland and the north of England. Anywhere away from light pollution and with clear skies will give you the best chance of spotting the aurora. The best place in our region is normally by the coast - away from the mist and fog that is likely to develop inland tonight. Cloud levels will increase through the early hours but that is not a huge problem. IF it does happen the peak time is expected to be at midnight.